Signed and dated (bottom left): Geo. Richmond delnt 1858. 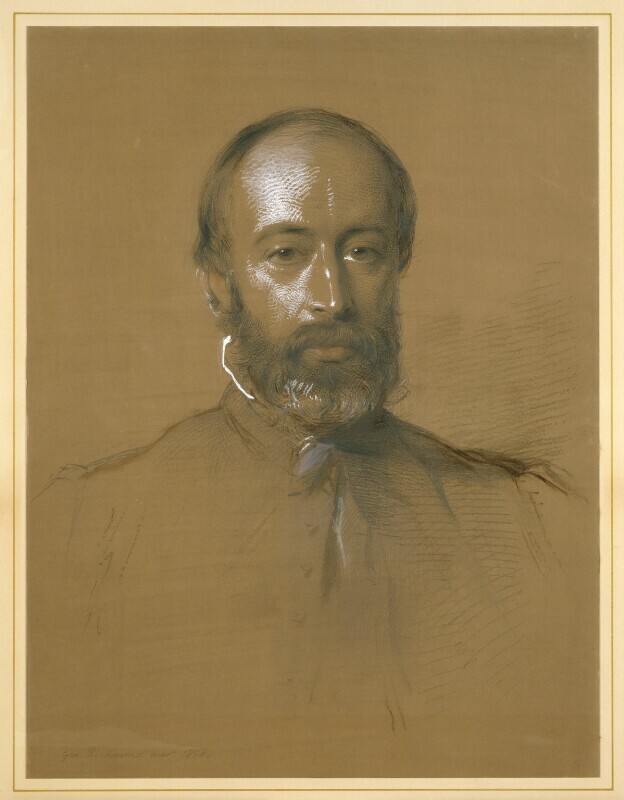 According to the donor (letter of 11 February 1921, NPG archives) this portrait was executed at the wish of Queen Victoria, who desired that it should eventually be presented to this collection. Edward VII expressed a similar wish. G. Richmond, 'Account Book' (photostat copy, NPG archives), p 68. The sitter, bequeathed by his daughter, Miss Alice Helps, 1924.